Step into the sophisticated refinement of a bygone age at this meticulously restored 1860s Victorian hotel. 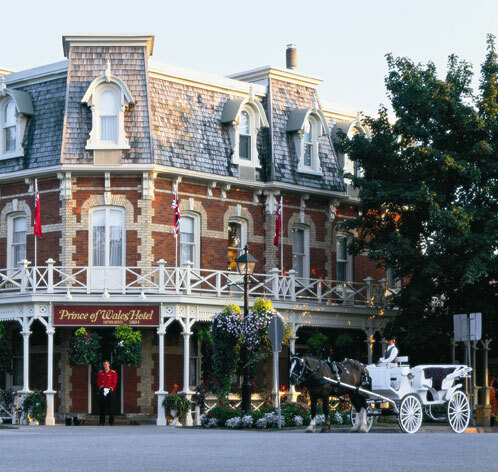 The Prince of Wales Hotel & Spa is a luxurious, romantic retreat in the heart of the Niagara wine region. Niagara-on-the-Lake, a year-round destination featuring a wide range of cultural and recreational activities, is only 15 minutes from renowned Niagara Falls.